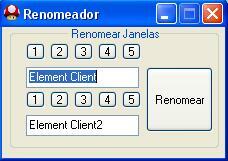 Estarei postando um *Multclient* muito simples para 'PerfectWorld'. 1° Digite no primeiro espaço o nome da janela a ser alterada. 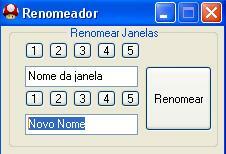 2° Digite no segundo espaço o novo nome da janela. 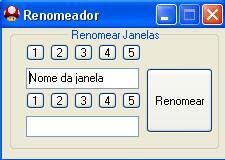 1° Enter the first space window name to be changed. 2° Enter the second space new window name. For Perfect World, I guess 3rd party softwares are not necessary anymore to enable multi-client. Simply go to the Perfect World folder in your PC, open the element folder, then launch the elementclient.exe file as many times as your PC can handle. Safer way ^_^. Works perfectly with PW Philippines. is possible change others games windows name ? with this tool ? [AutoIt] Hello World Video Tutorial!